Singles’ Day is the world’s biggest shopping event. In less than a decade, Alibaba Group Holding Ltd.turned a quirky celebration for unmarried young adults in China into a global extravaganza drawing in thousands of retailers and hundreds of millions of shoppers of all ages — hitched or otherwise. It’s spread to other e-commerce operators and will include more brick-and-mortar stores. The big unknown: To what extent, if any, the brewing U.S.-China trade war will cut into Singles’ Day sales. 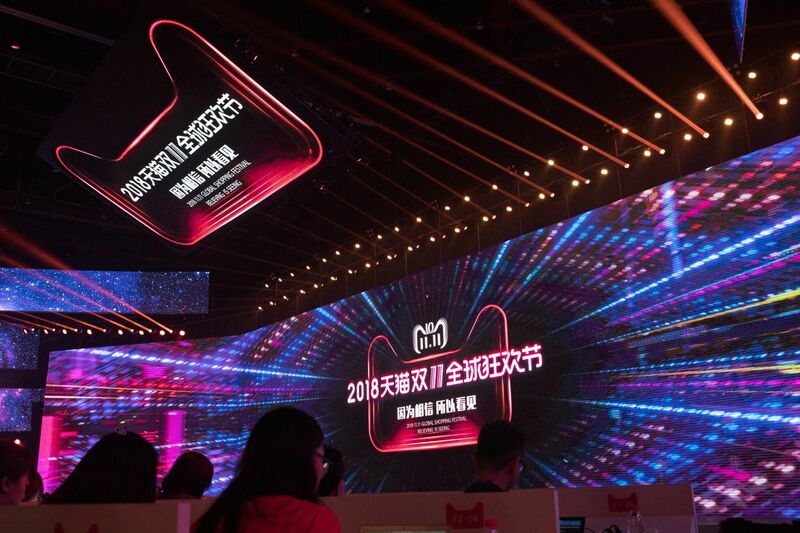 Members of the media sit ahead of Alibaba’s annual Singles’ Day online shopping event in Shanghai on Nov. 10. 1. Why is it called Singles’ Day? When Nov. 11 is written numerically — 11/11 — the four digits evoke “bare branches,” the Chinese expression for the unattached. On Chinese university campuses in the 1990s, 11/11 evolved into a celebration of being single in a culture that emphasizes relationships — an antidote to Valentine’s Day. The country’s rising middle class turned that into a phenomenon. 2. Why does Singles’ Day revolve around shopping? Credit Alibaba’s billionaire co-founder Jack Ma. As he began building the company, Ma latched on to the idea of centering a shopping promotion around a holiday, drawing inspiration from the American Black Friday tradition of mega-discounts. He chose Nov. 11 starting in 2009. Early on, his company’s marketing encouraged consumers to treat themselves in celebration of being single. But the day has never been limited to the lonesome, and it targets every demographic. Ma — who never shies from taking the stage — will preside over his brainchild for the final time in 2018 as Alibaba’s chairman. He’s stepping next year and handing the reins to his protégé Daniel Zhang. 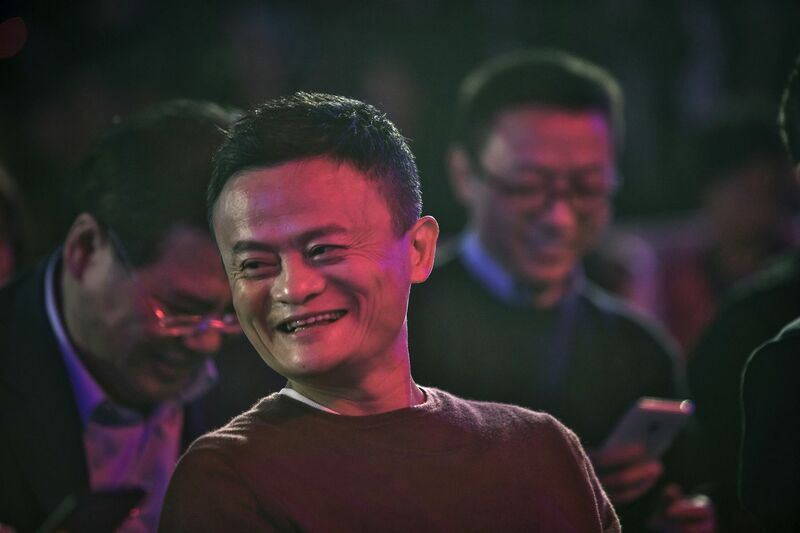 Jack Ma at Alibaba’s Singles’ Day online shopping event in Shenzhen on Nov. 10, 2016. 3. Is this exclusively an Alibaba event? Though Alibaba was the first to link Singles’ Day to consumerism, plenty of rivals have joined in. JD.com Inc. does promotions, as does Vipshop Holdings Ltd.and a raft of other e-commerce companies. Amazon.com Inc., a bit player in China, started Prime Day in 2015 in the U.S. to drive a similar sort of shopping frenzy. A key difference between Alibaba and Amazon is the Chinese company is a digital landlord for merchants and consumers to find each other, while the empire founded by Jeff Bezos holds much of its own inventory to sell. 4. Is Singles’ Day for Chinese shoppers only? While the mainland dominates sales, Alibaba is trying to make it more global. That means getting foreign brands involved in selling to the Chinese. It’s also working to promote its English-language websites such as wholesaling platform Alibaba.com. The 2018 edition will again involve AliExpress, which targets consumers abroad, and Lazada, its Southeast Asian operation. 5. 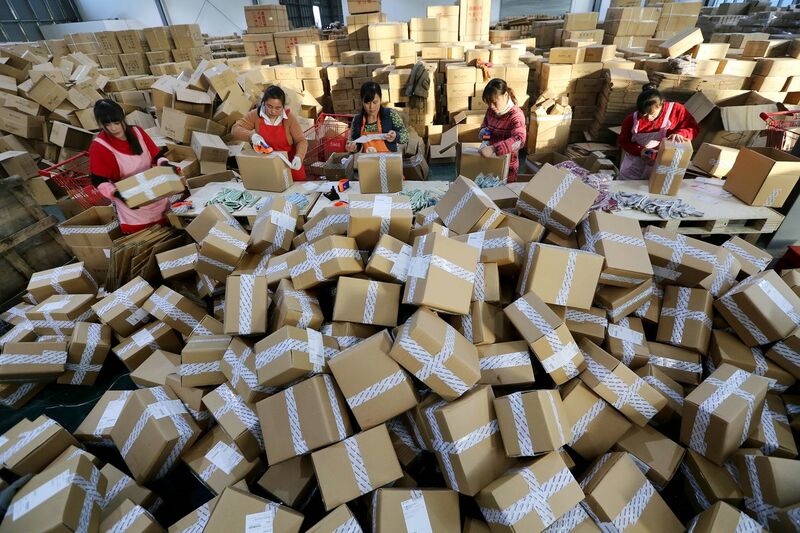 How big is Singles’ Day? More than twice as much merchandise is sold over the 24-hour period than during the entire five-day U.S. holiday-buying spree that begins on Thanksgiving, runs through Black Friday and ends on Cyber Monday. Every year has exceeded the one before, with last year’s sales climbing 39 percent to 168.2 billion yuan ($24.2 billion). That’s on par with the gross domestic product of some smaller European nations. Most of the buying was via Taobao and Tmall, Alibaba’s main shopping sites. 6. What’s different this year? It remains to be seen whether a depressed Chinese stock market and higher import tariffs resulting from U.S.-China trade tensions will curb consumers’ enthusiasm. On the other hand, Alibaba has significantly boosted the brick-and-mortar element of Singles’ Day by accelerating its investments in malls, convenience stores and food delivery services — part of what it calls its “new retail” initiative. The initiative involves equipping traditional retailers with new technology to manage inventory and to serve as distribution centers for online shoppers, as well as connecting mom-and-pop stores to its platform. There are also 200,000 so-called smart stores that seek to combine the online and offline retail experience. Alibaba forecasts 2018 will be the largest Singles’ Day.